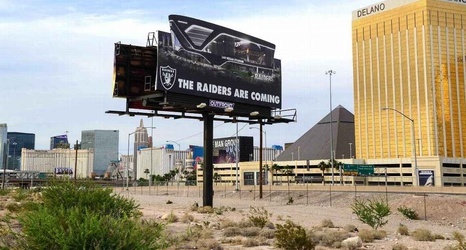 Where will the Raiders play in 2019: Oakland, San Francisco, Santa Clara, parts unknown? ALAMEDA, Calif. -- While a major league baseball team in San Francisco owns territorial rights to San Jose, an NFL team in Santa Clara owns territorial rights to San Francisco. And with San Francisco Mayor London Breed saying the Raiders “should play in Oakland” in her rebuffing the Silver and Black relocating to the San Francisco Giants’ waterfront Oracle Park for one season, The City has no problem poaching the NBA champion Golden State Warriors from The Town. Oh, and both Oakland's Raiders and Warriors began their Bay Area stays in San Francisco, with the Raiders playing at Kezar Stadium in 1960 and at Candlestick Park in 1961 and the Warriors in the Cow Palace and the Civic Auditorium from 1962 through 1968.